One of my friends that comes over quite often asked me something recently that surprised me. She said, “How is your house always so clean? 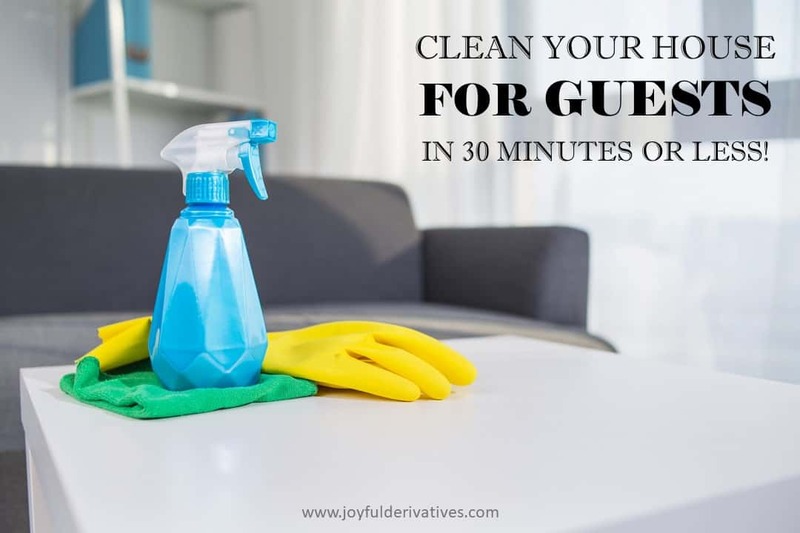 !” My response was, “You should have seen it an hour ago!” and in that moment, I realized my guests must think my house is always clean because of our simple 30 minute clean-up routine we always do before people come over! I’m sure for lots of people, the process of cleaning their house before guests arrive is super stressful. 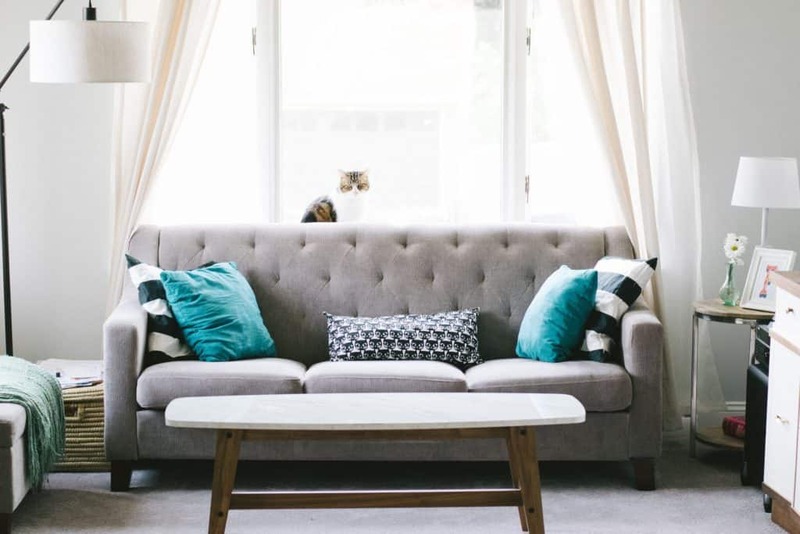 They may spend days thinking about what needs to be done and and worry about living comfortably in their home with the fear of dirtying up before guests come over. Well, I’m here to give you our secret formula to cleaning up your house and prepping for guests in 30 minutes or less! We use this at least twice a week before people come over and it works like a charm. 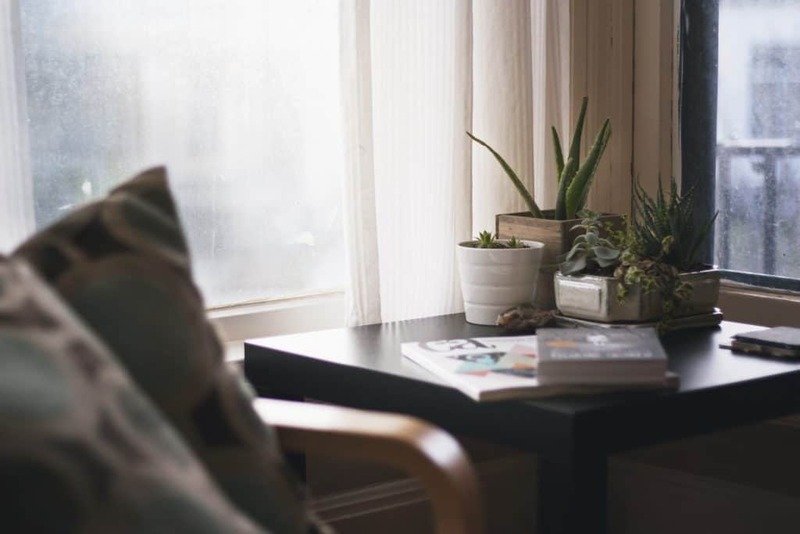 RELATED: 6 PLACES IN YOUR HOME YOU SHOULD BE CLEANING BUT PROBABLY AREN’T! Go through each room of your home where your guests will be and pick up any random things that are out of place. Prop pillows correctly on couches, put laundry or toys away in their places, clear the table of random stuff, etc. 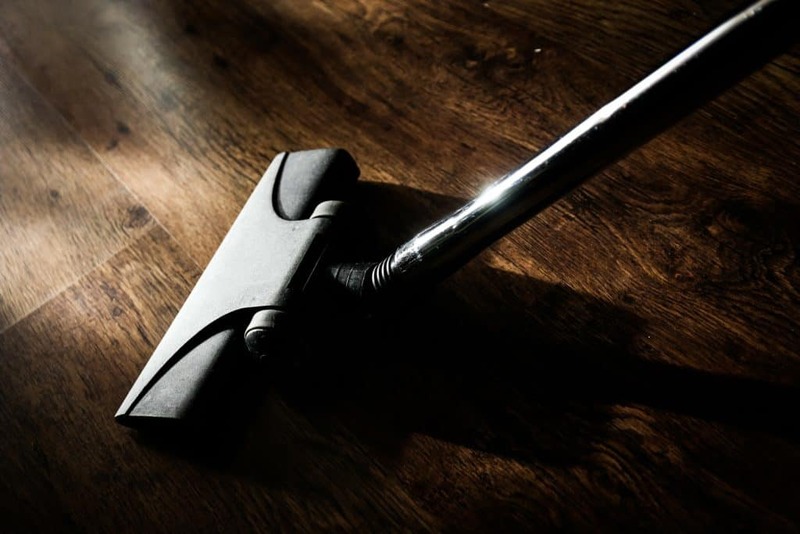 First thing to do is sweep or vacuum the main area floors or anywhere your guest may end up going. We tend to sweep our living/dining/family area and vacuum the area rugs/kids’ rooms. Give the bathroom they’ll be using a quick clean. We clean the mirror, wipe down the sink/vanity and toilet with these cleaning wipes, and brush clean the toilet bowl. Make sure your counters are clear and clean. 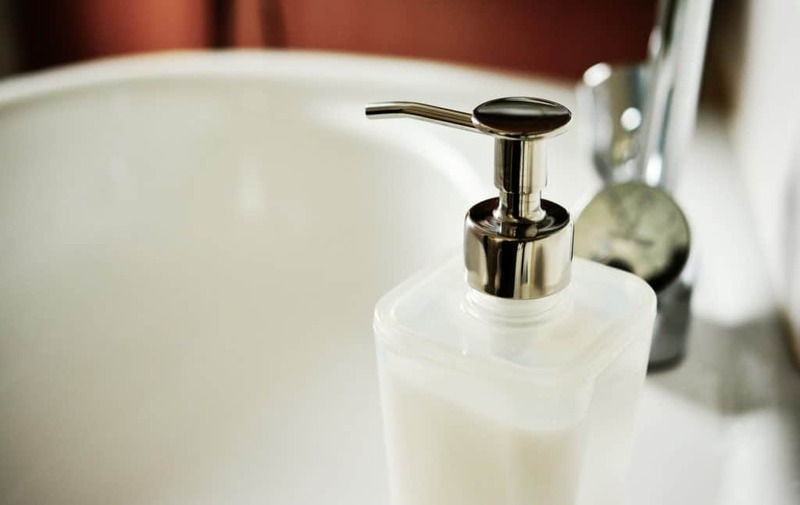 Put away any miscellaneous things that have accumulated on the counters and wipe them down. Make sure your sink is empty of dishes. If needed, you can even put dirty items that require hand-washing in the dishwasher to be washed after your guests leave. 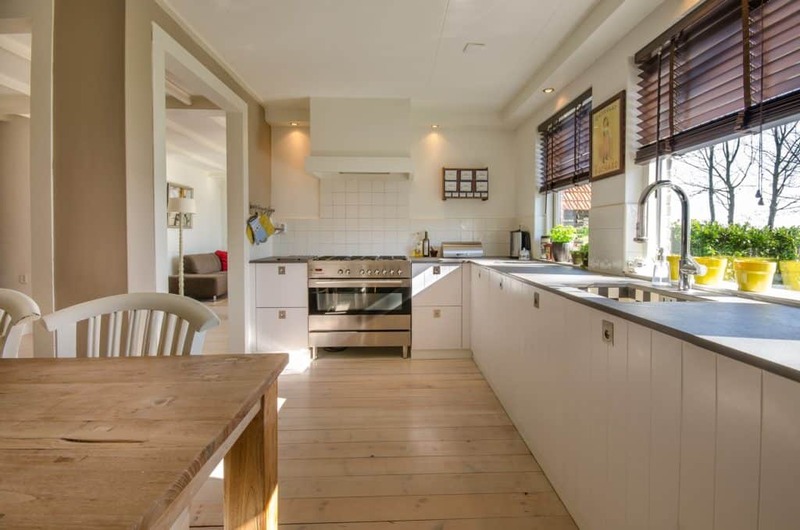 In addition to the kitchen counters, use your cleaning wipes to clean off furniture surfaces where people may set stuff or sit. We clean off our side tables, TV stand, and fireplace hearth. Great tips and so simple. I’m sure your guide will come handy next time some guests will be visiting. Loved the simplicity of this cleaning routine. It has inspired me to do a quick clean of my living space! Thank you.